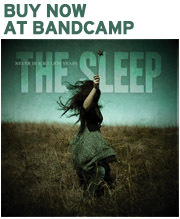 Click here to go to our Bandcamp page for music downloads and freebies! Hey Neil, just think, it all started in Tuckers basement! Dig the music, well done. I would like to recommend reissue of the Freeze music! Thanks Bob – Glad you like the music. I have very vivid memories of playing horribly wrong notes to “Just What I Needed” by the Cars down in Tucker’s basement. Not to mention everywhere we played that song… I never did get that right. As far as the Freeze – I believe that’s a moment best kept in memory and not revisited… although think I still have the cassette.